The textiles industry is characterised by a complex production network which spans many businesses and usually crosses international boundaries. Sales are often highly volatile and seasonal, and order fulfilment windows can be very tight. Good capacity planning, production scheduling, employee rostering, process control and inventory management are essential for a profitable operation. e-Stock includes stock balancing and inventory optimization algorithms which reduce costs along the supply chain while increasing service levels. PIMSS schedules the distributed manufacturing operation, including capacity planning and detailed line/machine-level scheduling. DISC optimizes the associated logistics operation, including inter-factory movements, distribution to retail outlets and last-mile delivery to the customer. 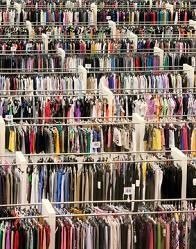 Flow of information between business partners, and the ability to respond to this information is vital in textile manufacturing and clothing logistics operations. e-Stock balances inventory and generates replenishment orders automatically. PIMSS automatically responds to new orders, adjusting manufacturing schedules optimally and creating requests for raw materials or transport resources, based on a synchronised logistics plan created by DISC. This integrated approach ensures that there are no 'rough edges' or mismatches between production and distribution, and more importantly that customer demand is anticipated and met. Collaboration between business partners is facilitated by e-Stock, allowing suppliers to manage customer stocks and replenishment orders, while customers have automatic access to product availability and lead-times. MJC²'s supply chain resilience algorithms provide strategic-level tools for de-stressing the supply chain. The sensitivity of the supply chain to disruptions caused by natural disasters or major political upheavals can be analysed, and corresponding contingency plans developed. At the operational level, the use of synchro-modal logistics planning algorithms de-stresses the supply chain, providing increased visibility and faster, more effective response to delays and other unexpected events. Our ROCS workforce optimization toolset allows organisations to develop sustainable HR strategies and working patterns that provide employees with an attractive work/life balance while being cost effective for the supply chain. More complex shift patterns and flexible working arrangements suit both the employee and the employer, the latter benefiting from increased agility and flexibility to respond to variations in demand.